Is love worth betraying everything? 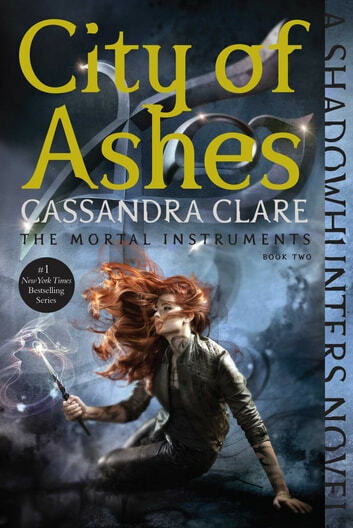 Plunge into the second adventure in the internationally bestselling Mortal Instruments series and “prepare to be hooked” (Entertainment Weekly). Great book, much better than the movies will be- which as usually doesn't/ won't do the books justice. This is the second book in the Mortal Instruments series, and so far my favorite (I haven't read the additional three yet). This book goes further into the world of Shadowhunters, and both Clary and Jace's past, as well as secrets. I loved getting to know the characters more, and the world Cassandra Clare presents in this series. It's definetly geared towards teens and tweens, but even as I grow older (I first started this series as a teen), I still find it very enjoyable.Well worth a read, and worth spending money/time on. Somewhat formulaic, angsty, teenage love triangle stuff but really quite entertaining for all that. I guess that's why it became the formula. Looking forward to reading the next book in the series while sitting next to the pool this summer. This is a very interesting series,This series is great for age 12 and up,and its a easy read.So I recommend this book for age 12 and up. Umm I don't know where to start...The second book starts slow but does get some wit going further in. One of my favorite humorous parts is in this book. It made me laugh till I cried. Lastly, wow that cliffhanger is a killer. Till next time, happy reading!